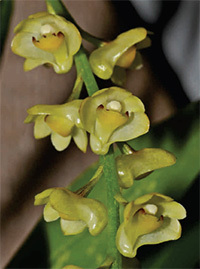 This page contains reference information on Australian orchids. It can be freely downloaded and redistributed, provided the original material is attributed to the authors and is not edited. 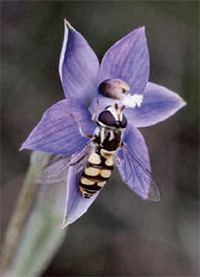 This Checklist covers the 1,963 species, subspecies and varieties of wild orchids (comprising 1,866 species and 97 subspecies and varieties) in 116 genera found in Australia and its island territories. This total includes 367 species that are considered distinct but not yet named and described, and these species have been identified by a 'tag name'. An additional six species that are not native to Australia but have become established in the wild there are included at the end of the main Checklist. This Checklist also includes 591 naturally occurring hybrids (including 50 named wild hybrids) in 15 genera plus 7 intergeneric crosses, that have been observed in the field. Many of the named hybrids were mistakenly named as species before their hybrid status was recognised, while others were deliberately named as hybrids. 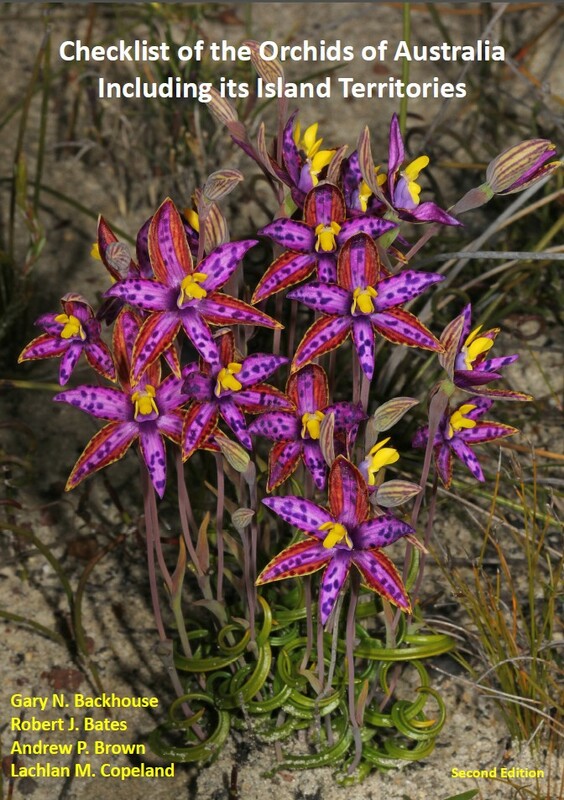 The inclusion of the many hundreds of recognised but un-named species and naturally occurring hybrids makes this the most comprehensive checklist of Australian orchids ever compiled. 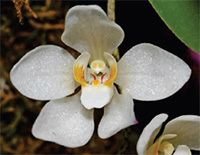 The Checklist has been prepared using information sourced from recent State or regional guides to orchids, herbarium checklists, photographs and the personal observations and experience of the authors. It has been prepared in two versions: an Excel spreadsheet that can be modified by users, and a PDF version that can be printed for a hard copy. The Checklist was prepared by Gary Backhouse (Victoria), Andrew Brown (Western Australia), Robert Bates (South Australia) and Lachlan Copeland (New South Wales). This Checklist will be updated periodically. 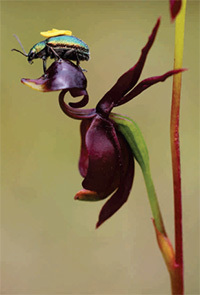 PDF Version of the Australian Orchid Checklist. Excel Version of the Australian Orchid Checklist. ANOS Victoria member Bill Kosky has been studying Victoria's clubbed spider Caladenia orchids for several years and presents two draft papers to assist in the identification of three East Gippsland spider Caladenia. Part 1 looks at the rarely encountered and poorly known Caladenia fitzgeraldii as well as the closely related Caladenia peisleyi. Part 2 looks at the more common Caladenia montana. These draft papers put forward a discussion for morphological grading and suggestions for the revision of their taxonomy. Download the PDF Version of Part 1: The Fitzgeraldii Type. Download the PDF Version of Part 2: The Montana Type.